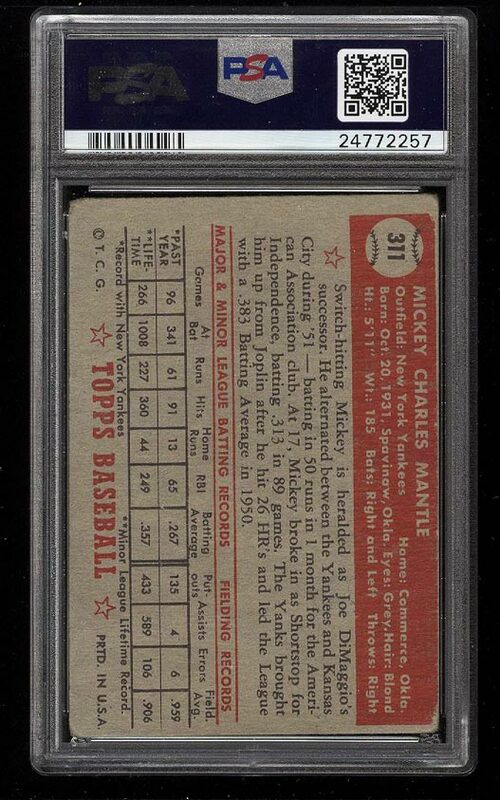 Incredibly desired Topps Mickey Mantle rookie on the auction block this month. The offered '1.5' is freshly assessed by PSA and boasts beautiful cream colored borders with well formed corners for the grade. The reverse shows well with zero paper loss. Typical front surface wear and creasing downgrade. An always in demand commodity which is deserving of serious attention. 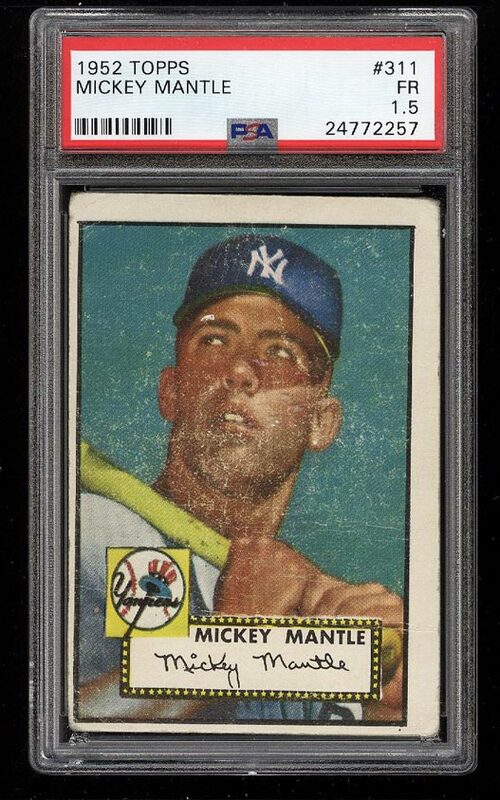 One of nearly 15,000 cards, lots and sets up for bid in our 3rd Auction of 2018. Click on the link above to view the other PWCC auction lots.